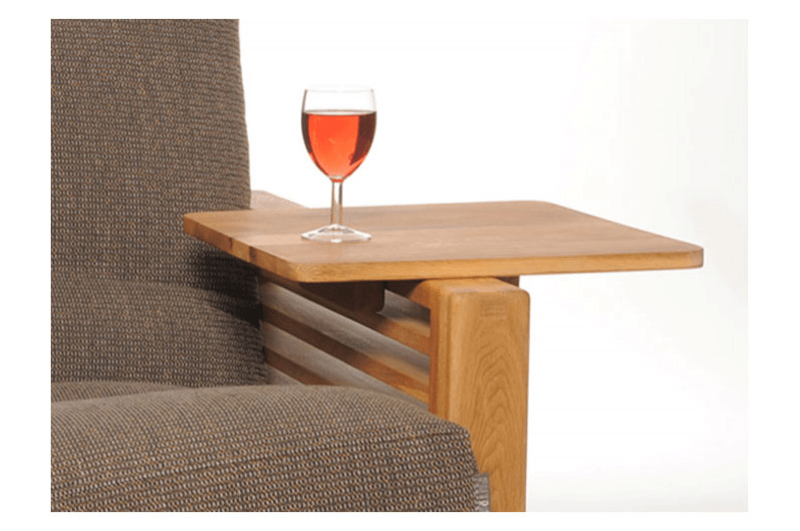 Quad 3 Seater Sofa Bed Solid Birch - Quad might be the newest sofa on the block but there’s no doubting its style credentials. With its clean lines and sleek detailing, Quad is guaranteed to make a statement in any space. 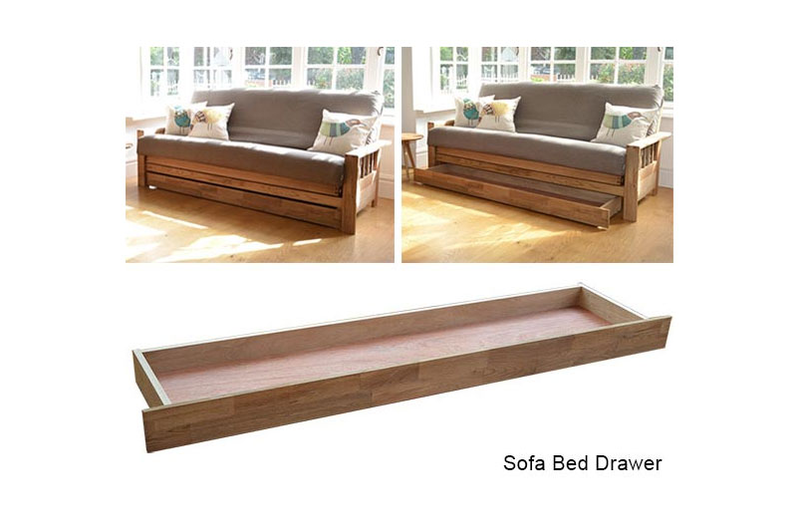 Constructed from robust solid birch with a simple conversion from 3 seat sofa to standard double bed in just 3 seconds, this easy to care for sofa bed is space saving living at its most stylish. Properly cared for, Quad will last you a lifetime. Our birch timber is carefully sourced and meticulously sorted to minimise the black flecks that naturally occur in this timber so that they will appear on the less visible surfaces. 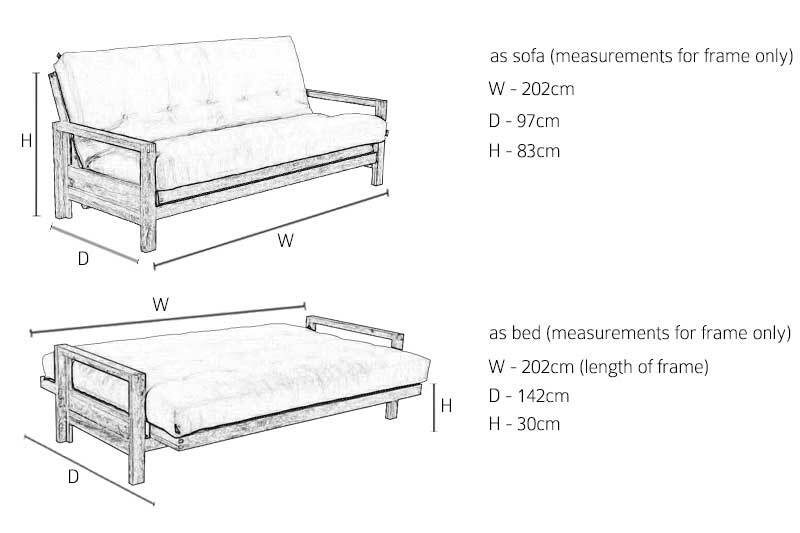 Upgrade to the Ultimate Bifold Futon: Rest easy whatever shape or size you are – the Ultimate is designed to withstand heavy everyday use. 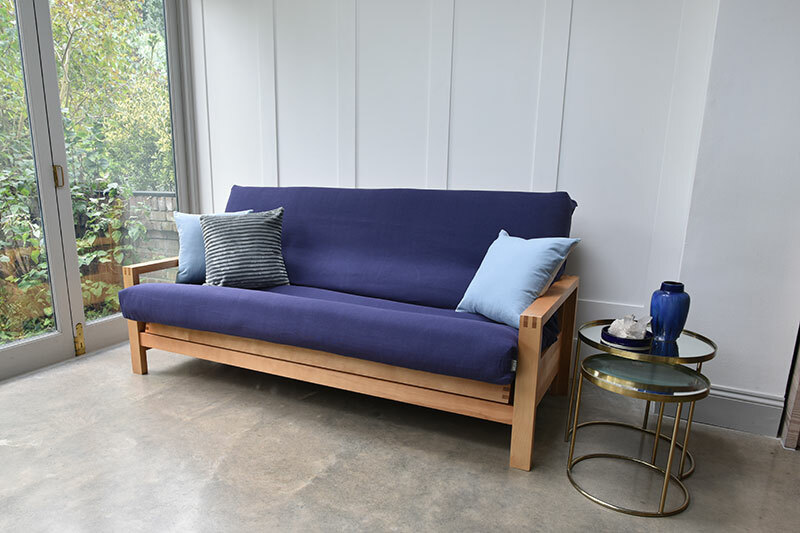 The combination of a generous layer of super-comfort sprung fibre, backed by a deep profile of foam and topped with soft poly denim, offers supreme comfort and support for both sleeping and sitting. 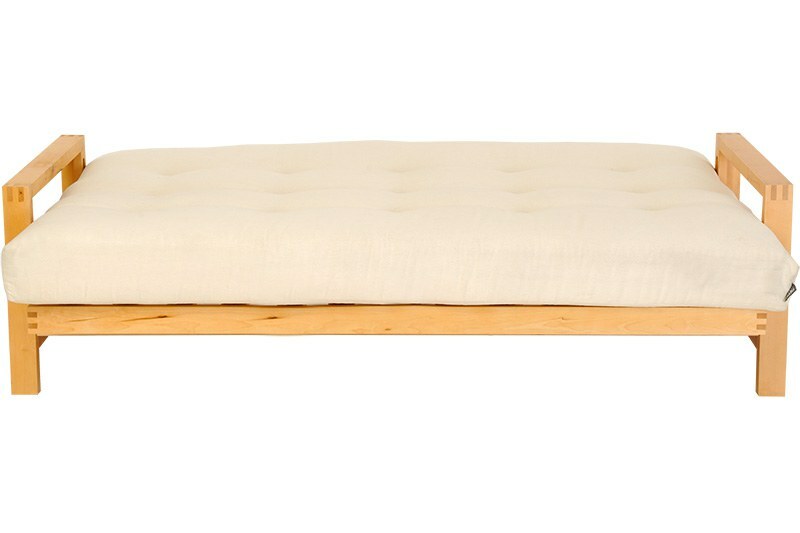 Upgrade to our new fluffy futon: If your sleep style is more Princess and the Pea than rough and ready, our Fluffy futon’s the one for you. 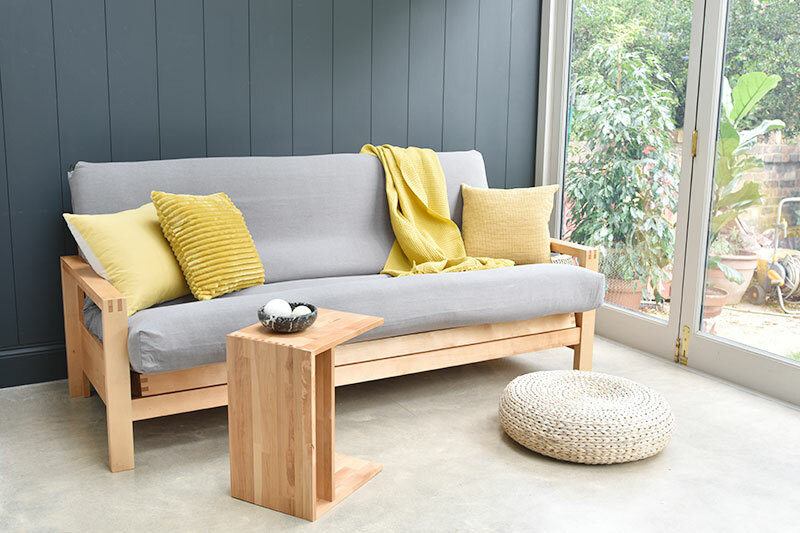 Designed with extreme comfort in mind, Fluffy offers supreme softness, brought to life by a softer-weave fabric top layer and an integrated design stuffed full of extra-soft components. 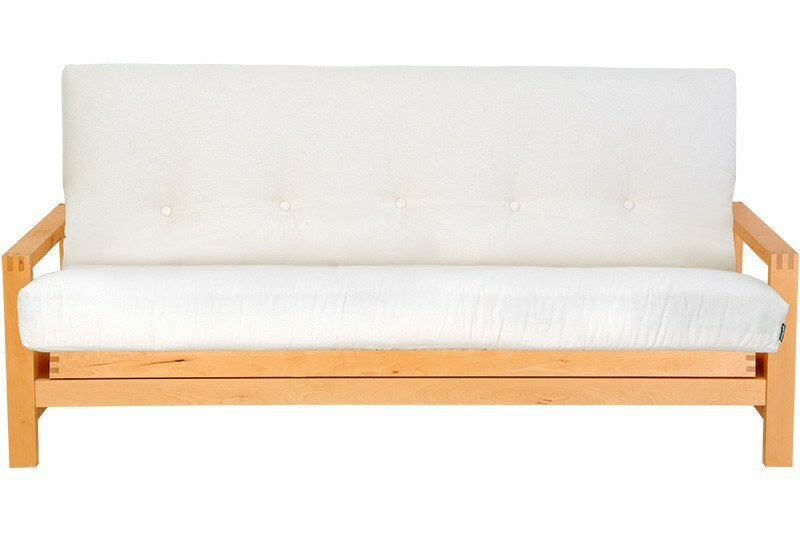 Super-soft comes at a cost, though – its components are more expensive and this is reflected in the price tag. But what price do you put on comfort? All of these fabrics are available as washable covers for our futons and sofa beds. 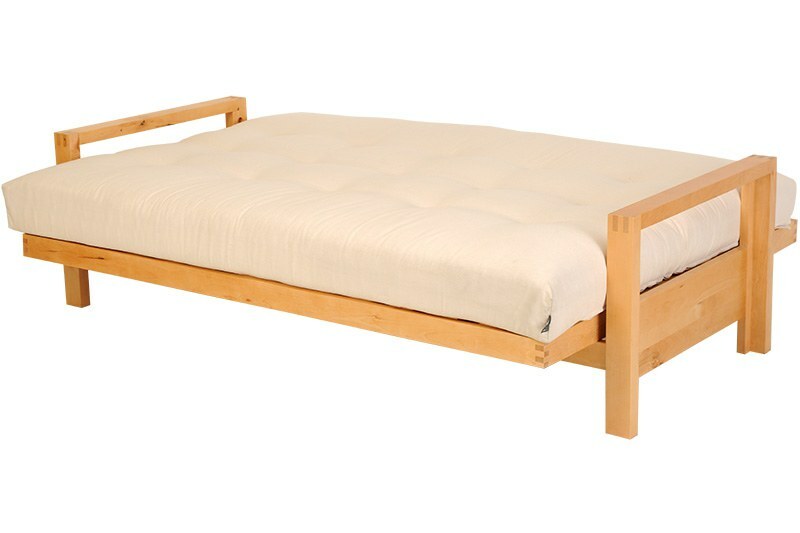 All of our futon covers are only compatible with futon mattresses purchased from the Futon Company after January 1'st 2006. Please bring the card you paid with and the printed invoice for collection of the item. There are various delivery options to choose from (depending on your postcode). You will be contacted by the transport company by phone within 7 working days of placing your order to offer you a delivery date.